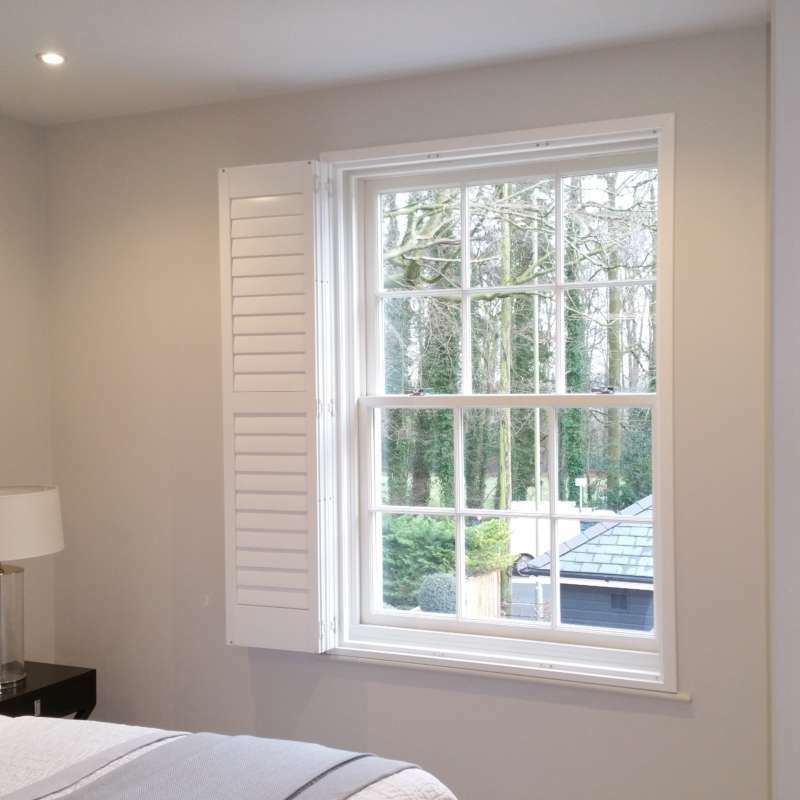 ﻿ Full Height Window Shutters Winchester &… | The Great Shutter Co. Most windows tend to be regular shapes and sizes with the window sitting in a recess. Full height shutters will dress the whole of the recess with separate shutter panels which are hinged together. Smaller windows naturally tend to have fewer panels. The beauty of having individual panels is that you have greater control of the light than you would with conventional window dressings. Curtains tend to be open or closed while blinds are tilted, raised or lowered. 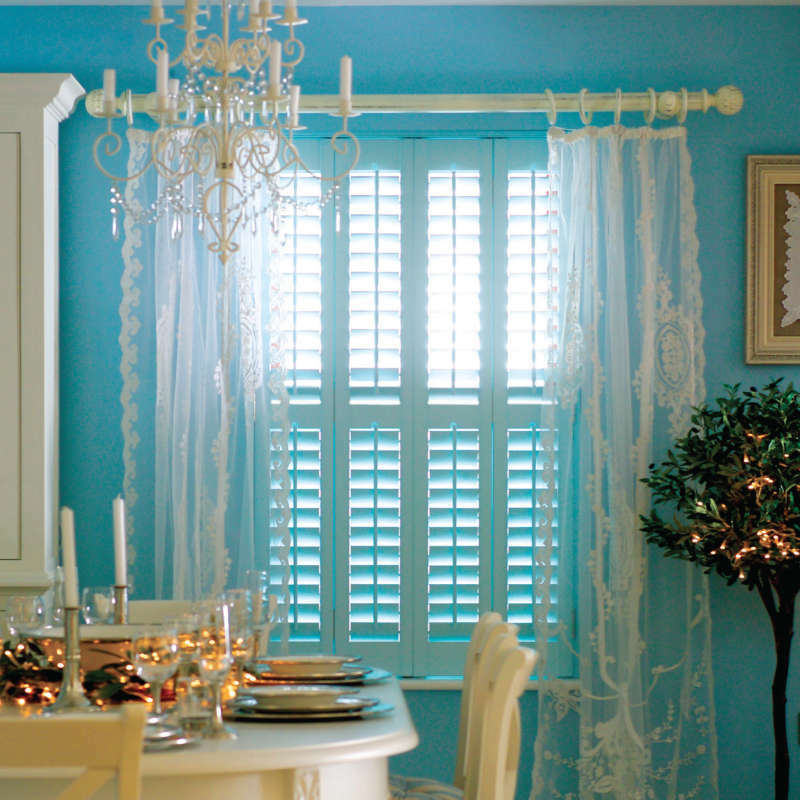 A shutter can do all of this and more. 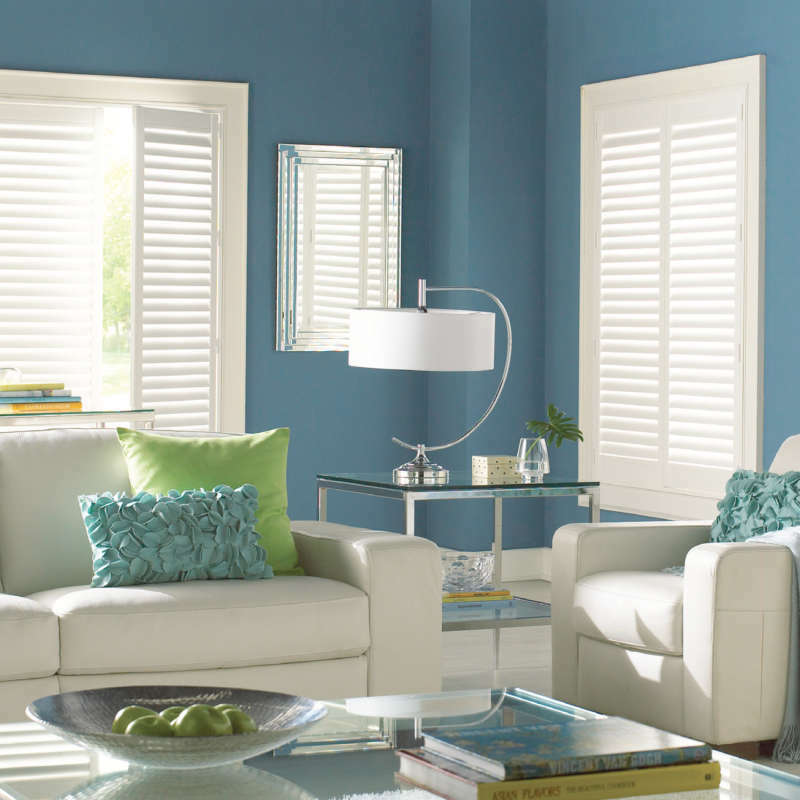 What types of Full Height Shutters are there? In general there is only one full height shutter type which fills the whole of the window recess. The panel is a single panel in height. When you have two panels sitting above each other this is known as tier on tier. 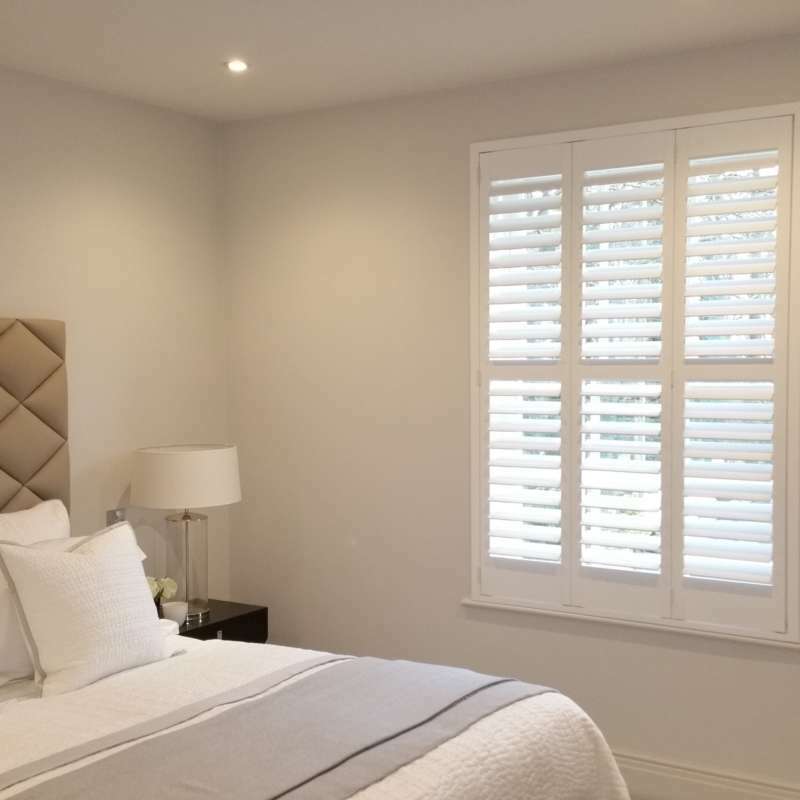 The main difference with installing full height plantation shutters is that there are so many different types and designs of windows that a full height shutter can go into, that how you design your full height shutter set is of critical importance. How do I get the best out of my Full Height Shutter design? 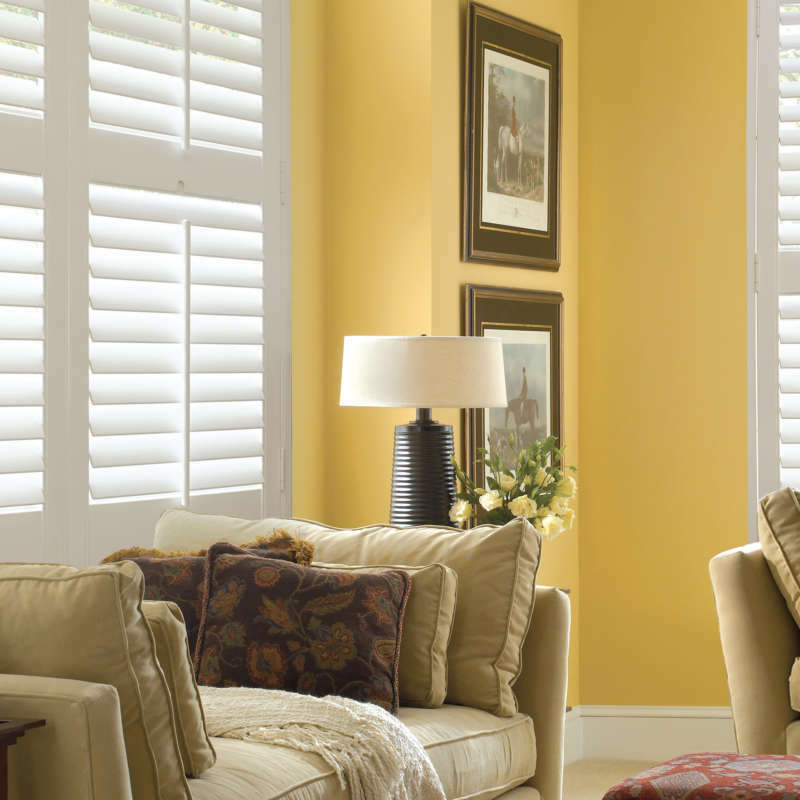 The beauty of shutters is that you are adding several individually controllable shutter panels to your window and this is what puts you in control of privacy and light. Yet, this is also what leads to the complication of how you go about getting the best out of your full height shutter design. Each window will normally have a transom (horizontal bar) or a mullion (vertical bar) unless it’s just a single glazed panel. You will want to make sure that the shutters design follows this so that the shutters look just as great from the outside as they do from the inside. 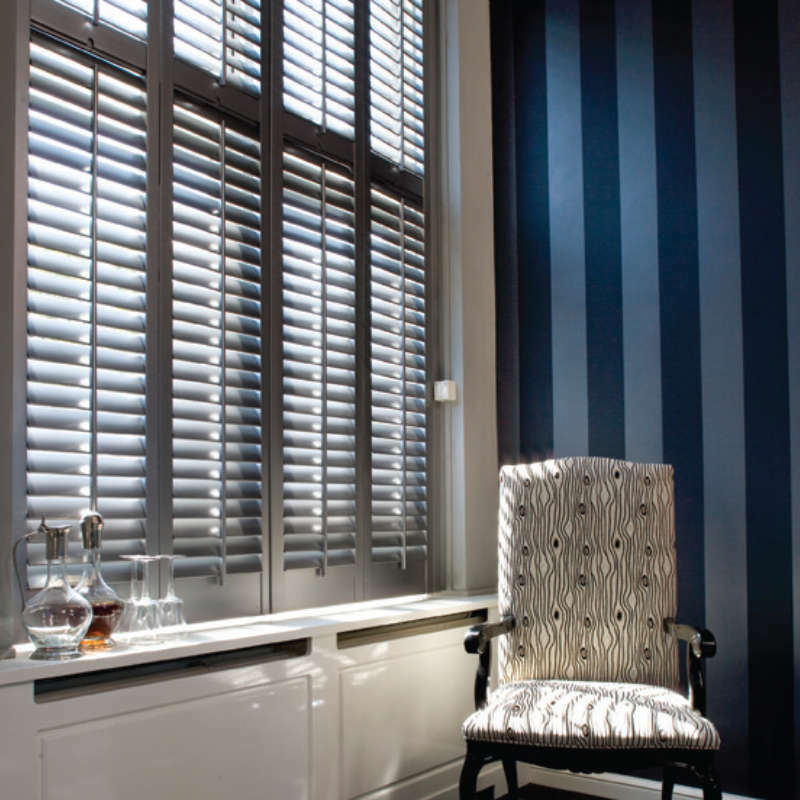 To complicate matters the way your shutters fold will be dependent on where they are placed within the recess and whether or not you wish to be able to fold them away flat against the wall. Furniture and where the window is located in relation to side walls also plays a part. This is why you should seek professional advice, even if you already have firm ideas about what you want. What size window can I cover with a Full Height Shutter? Well, that depends on the product range that you choose as different material are better at covering large windows with full height shutters. This is mainly due to weight of the material and also the way that it is manufactured. Some companies will often go to the edge of specifications to hit a price point but that inevitably leads to problems later on. Another factor that will affect the size of shutter is how you plan to use them. If you plan to open very large shutters every day, by folding them out of the recess, then you will place more strain on the hinges. If you only plan to adjust the louvres to let in light then large panels are not such an issue. 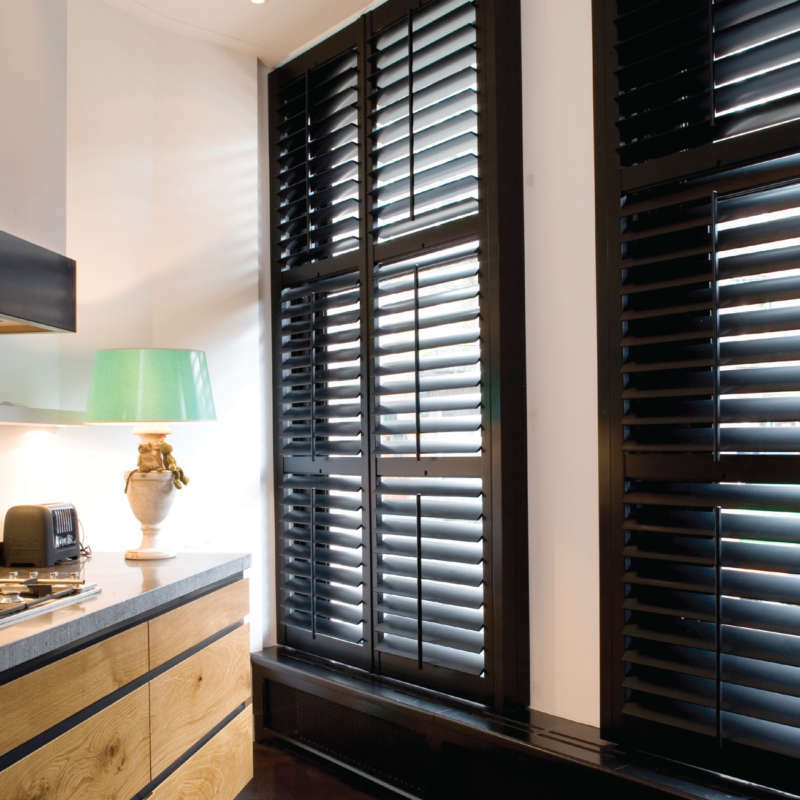 In general, though, most windows are average sizes and the fact that maximum spans of 2.4m wide and 3m in height can be covered, shows how incredibly versatile internal shutters are. What is a mid-rail on a full height shutter? Mid-rails or privacy bars are simply a mechanism to split a full height shutter panel into two or more separately operable sections. 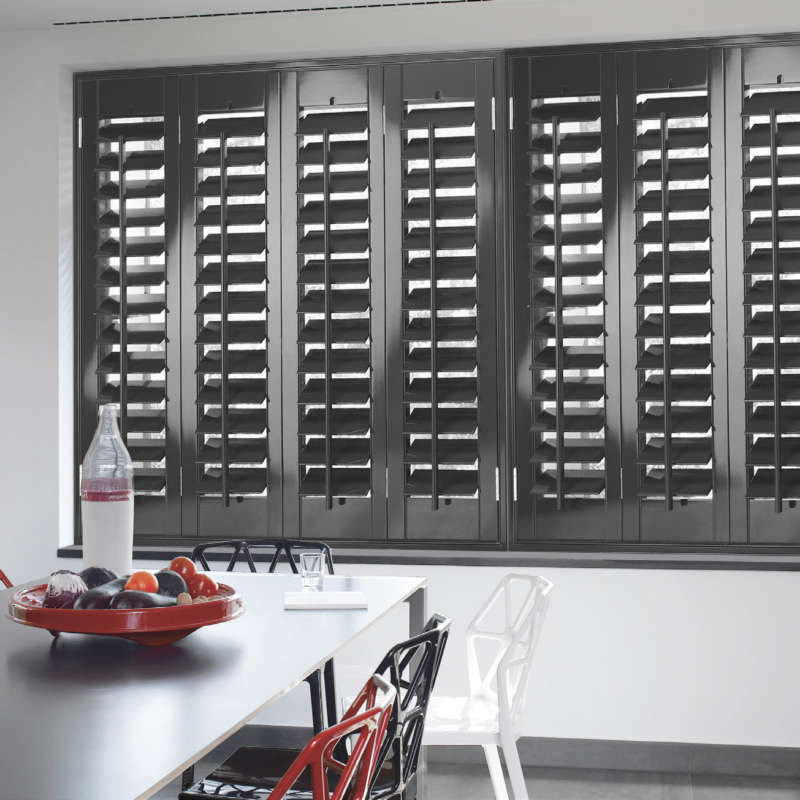 Think of it as a way to bring even more versatility into you shutter design and to give you even greater control over privacy and light as you now have a minimum of two sets of louvres, within a panel, that can operate separately. Many customers think that a tier on tier design will let in more light as they can leave the bottom section of the shutter closed and fold the top half of the shutter out the way. In practice though most people just adjust the louvres and this actually let less light into the room. The reason behind this reduction in light is that the top and bottom bars of these two shutter panels in effect put a wooden beam across the window that can’t be adjusted like a louvre.